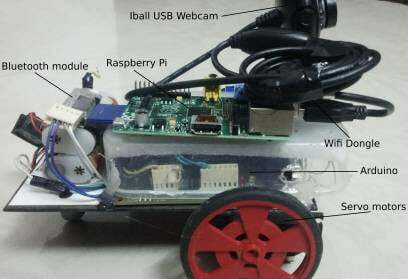 Add a camera to a remote-controlled car or robot so you can see where it’s heading and use a Wi-Fi device to view video. It is always cool to add a camera to your remote controlled car or robot so that you can see where it's heading exactly and probably use a wifi enabled smartphone or tablet to view the video as well. It's very simple now to do this using a raspberry pi and a USB webcam. Real-time streaming can be done with a minimum delay too. 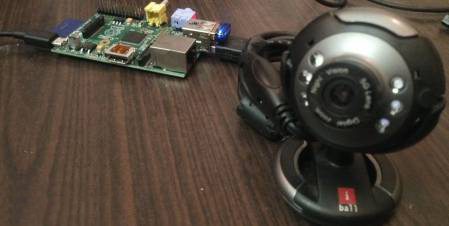 Here, steps are given on how to view the feed from your webcam on the monitor connected to the raspberry pi as well as on another device in the same local network. 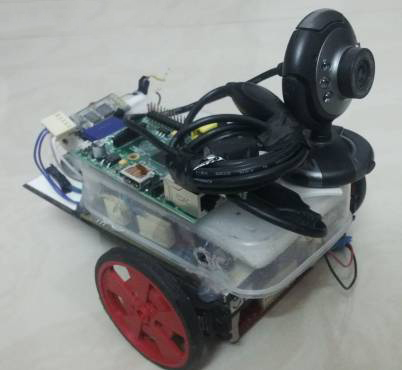 This tutorial will show you how you can add a camera and video broadcasting system and make a raspberry pi webcam robot. Have fun with this DIY Hacking tutorial! How Does the Raspberry Pi Webcam Robot Work? First of all, you need to check if your webcam is getting detected in the raspberry pi and whether its feed can be viewed. For this, first, run the command "lsusb" in the terminal of the raspberry pi. This shows you a list of all the USB connected devices on the pi. 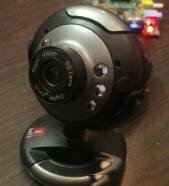 Find out, from the list if your webcam's name or software is displayed (sometimes driver name is displayed eg: Microdia for Iball webcams). Next, we need to check whether you can view the feed from the webcam on the pi. For this use "cd /dev" to go to /dev directory. Next, use "ls" to list its contents, check if "video0" is present. The first command installs ffmpeg. The second commands start up the video having a frame rate of 15fps using the video4linux2 mode, having a resolution of 320x240 and using the device from /dev/video0. Once you run it, you will see the webcam feed on the monitor. jpg_streamer -i "/usr/lib/input_uvc.so -d /dev/video0 -y -r 640x480 -f 10" -o "/usr/lib/output_http.so -p 8090 -w /var/www/mjpg_streamer"
Here, edit the IP address "192.168.1.9" with the IP address of your raspberry pi. You can find it out by using the command "ifconfig" on your pi. Finally, use your browser to open this HTML file and view the video. For devices, like iPad, etc use any file manager apps to open the HTML file. Now you need to add the raspberry pi and the webcam to this and use a wifi dongle to make it wireless. I have used one half of a plastic box to create a platform for the raspberry pi and webcam. Use hotglue to stick them together. 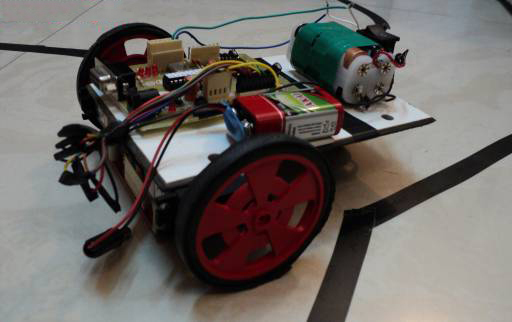 And that's it, you have made a video streaming, smartphone controlled robot. You can use SSH to initiate the program remotely on the raspberry pi without having the need to hook it up to a monitor. 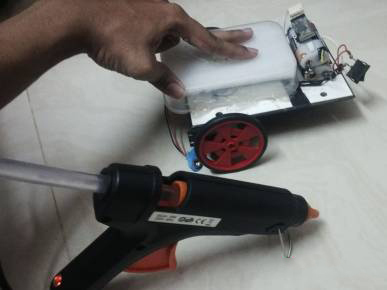 The robot can be maneuvered using a smartphone application on an android phone. The corresponding feed from the USB webcam of the raspberry pi can then be streamed using an Ipad, pc or any other device connected to the local wifi network.